A client project on awareness of particulate matter pollution. With Hae Wan Park and Jerilyn James. PennFuture is an organization that works towards environmental conservation in the state of Pennsylvania. This project aims to promote awareness and knowledge regarding the issue of particulate matter pollution, especially in the greater Pittsburgh area. Our group decided to set our target audience to be middle to high school students, and the goal is to inform through the persona of a student, so it is easier for the target audience to identify with the problem. 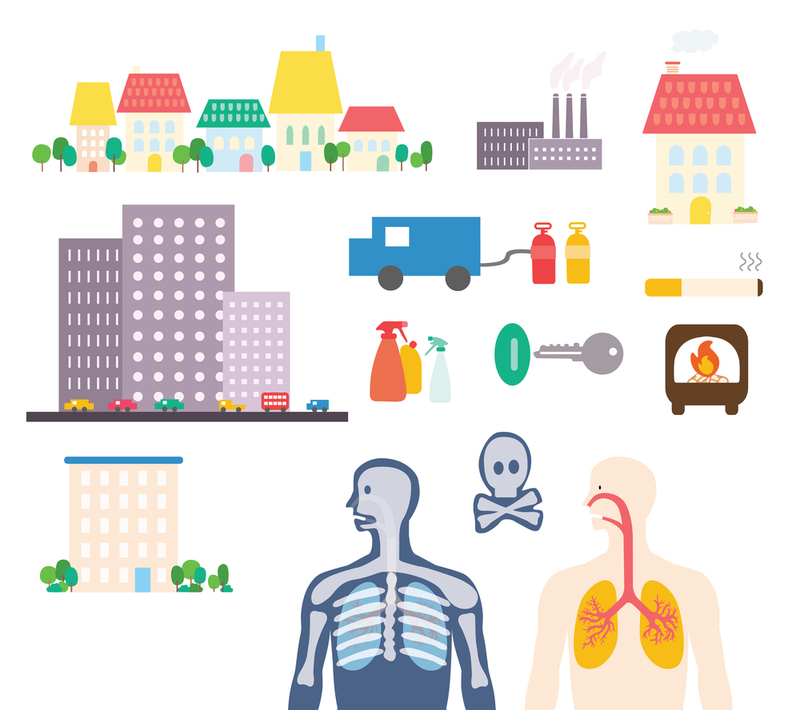 In the animation, our group decided to take on a duo-voice approach, a more dramatic personal voice in the recount that holds the story together, and a more scientific voice in explaining the broader subject of particulate matter pollution, its causes, effects and possible actions that can be taken as a community and as individuals. We also designed a card game that informs more specifically the particulate matter pollution within the Allegheny County and the measures being taken in these neighborhoods. For the more dramatic voice through the persona of a student, we told the story through kinetic typography, and use the motif of circles to tie the different parts together. The animation of the circle is crucial in our build-up of the voice’s emotions. For the more scientific voice of explanation, we created vector illustrations to aid the understanding of this rather dense topic with a lot more visual interest. The design of the game came with many iterations. From determining the goal, the education value to designing rules to keep the game engaging, we had to start fresh many rounds before arriving to this beta version. The goal of the game, Cleared! is to be the first person to clear your neighborhood of all the particulate matter particles by getting rid of all their PM cards. Each player will have an area profile card, which specifies which region of the Allegheny County one is responsible for. The profile cards have color-coded maps on the front and specifies the neighborhoods in that specific area in Allegheny. Each player gets a number of PM2.5 and PM10 cards, which they want to clear. In each round, players take turns drawing action cards, which can be good (showing individual measures, community effort or government polices) and will clear some of your PM cards, or bad (showing PM point source or mobile source) and will add more PM cards to your stack. These action cards contain color squares to show which areas they affect. If an action card does not apply to the player, he puts it faced down in the center. Other players can choose to take this card to see if it applies to their area. If so, this player has to carry out the action, regardless it is good or bad. If not, the card returns to the stack. The same player cannot take a risk twice in one round. The game continues until one player gets rid of all of their PM cards, symbolizing that he/she has cleared up his/her area.